FLINT, Michigan — Midway through the second half on Wednesday night, Mott Community College was on the verge of suffering a historic home loss. Down 26 points to Delta College with 12 minutes to go, the Bears risked breaking a record that no one wants to break. Mott head coach Steve Schmidt called a timeout to implore his team to, at least for the rest of the game, pretend to care. Over the next five minutes, the Bears went on a 12-1 run to cut the lead to 14. They showed something, but it wasn’t enough. The teams traded baskets and free throws for the remainder of the game, and the Pioneers held on for a 70-59 win. The deficit the Bears ran up in the first 30 minutes was too large to overcome. With the win, Delta improved to 9-5 in conference. The Bears have now lost four of their last seven games. Going back to last season, Mott has loss four of its last five meetings with Delta. Mott (16-10) trailed by 14 at the half. The first 20 minutes were eerily similar to the first half against Schoolcraft College on Saturday. The Bears shot less than 25 percent from the field in both halves, taking away any legitimate chance of a comeback. 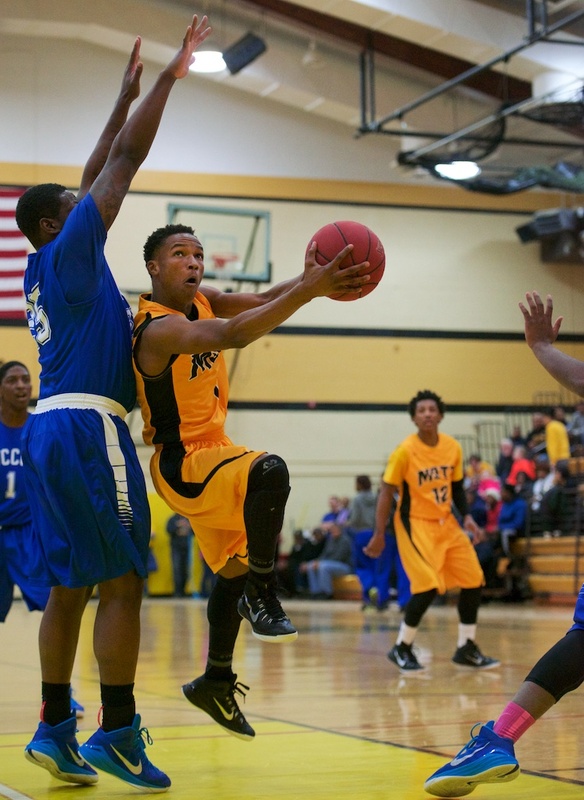 Mott has five conference losses and is now in a logjam in the MCCAA Eastern Conference. A win would have gotten the Bears close to a home playoff game. The loss gets them closer to a road game in the first round of the District 10 Tournament. Freshman Diandre Wilson led the Bears with 20 points. Sophomore Lorenzo Collier added 12. Mott played without the services of their second-leading scorer, Jalen Adams, who is nursing an injury. The Bears will play on the road Saturday at St. Clair, a team also fighting for playoff position. Mott beat the Skippers by 21 at home last month. Listen to the Mott basketball live on MRSN.us. Mott head coach Steve Schmidt looks to improve his record to 7-2 this season Wednesday night against rival Lansing. FLINT, Michigan — Roles have been reversed in one of the state’s best basketball rivalries, at least for now. Mott enters its game versus rival Lansing at 7 p.m. Wednesday night in Flint as an underdog. The rivalry, once dominated by Mott, is alive and well these days. Mott came up just shy of an upset over the Stars last month in Lansing, falling by three. Since then, however, Lansing has proven itself against the NJCAA’s best. The Stars are winners of nine consecutive games including an impressive win over no. 1-ranked Schoolcraft. Lansing, under the direction of longtime coach Mike Ingram, has ascended to the no. 3 spot in the latest NJCAA national poll. The upstart Bears (one returning player from last season) started the season unranked, but their 6-2 record has earned a no. 17 ranking in the poll. This is rarefied air for Mott, one of the top JUCO programs in the country; historically, Mott hasn’t been an underdog against many. Mott’s Hall of Fame head coach Steve Schmidt grew up in Lansing, graduated from Lansing Waverly and is a former assistant coach with the Stars. In fact, Schmidt and Ingram were both assistant coaches on the last Lansing squad to win a national title (1988). They both played at Central Michigan in the 1980s. Between them, they have nearly 1,200 career wins. Schmidt jokes about how the pair coached together before any of their current players were born. Since 2009, Mott has won nine of its 12 games versus the Stars. In recent years, however, the games have been much more competitive. In the last two seasons, the teams have split (each winning at home). With all due respect to Schoolcraft and Oakland, Mott and Lansing have been the premier programs in the MCCAA during the coaching tenures of Schmidt and Ingram. The programs have featured numerous big-time players, and championships, in recent years. Mott, by itself, has four national titles since 2003 and 18 All-Americans. Lansing, for its part, always seems to have a bonafide stud on every roster — Nate Duhon, Muhammad El-Amin and Torian Harris to name a few from the past. This year, the Stars are led by sophomore guard Javon Haines. The former East Lansing High standout had been the best player in the MCCAA even before his 55-point explosion against Alpena. He is currently leading the NJCAA in scoring at just under 29 points per game. Mott counters with an exciting young crop of guards and wings who can run the floor with anyone — including Lansing. The best of the bunch is freshman Diandre Wilson, a smooth combo guard who can create his own shot and score going to the basket. Wilson averages 21 points, five rebounds and four assists per game. In the first go-around, Mott actually held Haines to a season-low 10 points. Adams and Wilson combined for 48 points, but the Bears could not finish off a late rally. The X factor for Mott is 6-5 sophomore transfer Jalen Adams. The former all-stater from Saginaw Arthur Hill played at D-1 St. Bonaventure last season. He has the pure talent to be the best player on the floor every game. He has only shown flashes so far this season, but most expect him to breakout in the very near future. A new wrinkle for Mott is 6-6 sophomore transfer Mitchell Rubio, a local product who spent last season at City College of San Francisco. Rubio played in his first game on Saturday afternoon against Kalamazoo Valley. He made his presence felt almost immediately, scoring 13 points with six rebounds including two in the final minute to seal the victory. Rubio brings size, athleticism and, most importantly, the ability to hit outside shots. “Mitchell definitely makes us better,” Schmidt said. Win or lose, the Bears are trending in the right direction. Schmidt has the horses to make a run this season. If he can hold this group together for two seasons, he will have something special. “These kids are young, but this is going to be a good team once they get it figured out,” Schmidt said. Listen to the game live on MRSN.us. FLINT, Michigan – Mott’s third straight win was anything but charming. The Bears turned away Alpena on Saturday afternoon in Flint, 74-60. Leave it to Mott head coach Steve Schmidt to be angry about a 14-point conference win, but that’s his style; he’s almost never satisfied. Schmidt has not been happy with his team’s consistent inability to play a complete game this season. That was on full display Saturday. For short bursts, the team looked inspired on the defensive end. It wasn’t long, though, before they simply looked like they were mailing it in. There’s little doubt that Schmidt was reacting to the manner in which he team handled the game’s final four minutes. The Bears put their guard down and turned what should have been a dominant 25-point win into an outcome that leaves something to be desired. It could have been a lot worse for the visiting Lumberjacks, but the home team didn’t roll out of bed until midway through the first half. The Bears, sparked by freshman wing Tommie Johnson, went on an 11-2 run to end the half up a dozen, 32-20. Alpena is a much-improved team this season, scoring wins over Delta, Wayne County and Henry Ford this season. Without the services of Tristan Howard, the team’s top guard, the Lumberjacks could not handle the Bears’ pressure early in the second half. Just six minutes in, a 3-pointer by freshman guard Malik Young put the Bears up 23. It capped an 18-5 run by the Bears. With Schmidt’s team fully in his comfort zone scoring points of turnovers, Mott didn’t slow the pace of play down until inside of four minutes left, still up 21. Setting aside the less-than-stellar effort to close out this game, the Bears are starting hit their stride on the defensive end. Mott has surrendered 67 or less points in five of their last six games. Stephan Shepherd led all scorers with 24 points for Alpena (6-10). Daryl Bigham led four Bears in double figures with 19. Young and Johnson scored 13 apiece. Justice Green added 11. Mott will look to extend its winning streak to four on Wednesday night on the road against Wayne County. The Bears cannot afford to look ahead toward their showdown next Saturday at home versus Oakland. FLINT, Michigan — No Bigham, no big deal. No. 14-ranked Mott scored a huge 73-58 victory over Wayne County Wednesday night despite losing the services of their best forward, Darryl Bigham, to suspension. Bigham had to sit out after earning a flagrant (2) foul in the overtime loss to Owens on December 29 (he also sat out Mott’s road win over Alpena Monday night). Mott dressed eight players. Wayne County dressed 17. The teams went back and forth in a first half that produced four ties and 20 (not a typo) lead changes. The Bears led by a single point at the half despite a mere two points out of 6-7 sophomore forward Darryl LeVert. LeVert struggled all game to get position in the post against Wayne’s stronger, more physical frontline. The stage was set for high drama in the second half, but it never came to fruition. After a brief battle, Mott scored 25 of the game’s next 36 points to extend their lead to double-figures. The Bears led by as many as 17 in the half and cruised to victory. Freshman point guard Justice Green turned in an excellent all-around performance for Mott with 17 points, six assists and three steals. His did his best John Taylor impression, scoring on some very low-percentage shots in the lane. Rod Milton added 12 points and five rebounds. LeVert and Tommie Johnson added 10 apiece. Ashton Curd led Wayne with 15 points. The Wildcats fall to 8-5 on the season, but are still considered among the top teams in the MCCAA Eastern Conference. Mott improves to 10-3 on the season ahead of Saturday’s showdown on the road against Oakland. Under the circumstances, this was a huge win for the Bears. Without Bigham, this was a textbook trap game for the Bears. Kudos to head coach Steve Schmidt and his staff for having this team ready to play. It’s still early, but this team truly controls its own destiny in the MCCAA Eastern Conference. A win on Saturday would go a long way toward getting this program back in the championship conversation. Mott freshman Justice Green scored 13 points Tuesday night at home against Owens. FLINT, Michigan — The basketball fans leaving Ballenger Fieldhouse Tuesday night looking stoic, if not stunned, have been around awhile. To those folks who have followed Mott during its rise to prominence and subsequent reign as one of the nation’s top JUCO programs, home losses are exceptionally rare. No. 9-ranked Mott suffered its first home loss in nearly three years, 94-87, at the hands of Owens (Ohio). The Express swept the season series with Mott, winning both in extra time. Mott led by eight points at the half and by as many as 12 in the second half before the Express ran off 13 of the game’s next 17 points. In the end, the Bears could not overcome the offensive onslaught of Owens’ 5-7 sophomore guard Shaakir Lindsey, who scored 21 of his game-high 26 points in the second half. After a 3-pointer by Lindsey with just less than two minutes to go in half, Mott’s Daryl Bigham swished two free throws to tie the game at 83. The Bears looked to be in prime position to win the game after Owens’ forward Austin Somerfield missed a bunny in the paint. On the ensuing possession, the Bears turned it over, got it right back, and promptly gave it away once again. After another miss by Owens, the Bears had possession with 14.5 seconds left and called a timeout. Owens knocked the ball out of bounds with five seconds left. Mott guard Austin Daniels was then smothered by a double team and forced to call a timeout with 1.8 seconds left. Bigham caught the inbounds pass from Daniels, took two dribbles, and had his shot partially blocked. The overtime period was a comedy of errors for the Bears on the defensive end. Lindsey could not be stopped in the lane or on the perimeter. The icing on the cake was the flagrant foul issued to Bigham for throwing an Owens player to the floor with less than 30 seconds left in the frame. Bigham was escorted to the locker room and the fans headed for the exit. Owens, coached by former University of Toledo and Mott assistant Dave Clarke, put six players in double figures led by Lindsey. Bigham led Mott with 25 points and eight rebounds. Freshman Malik Young had 15 and Levert and Justice Green added 13 apiece. The Bears (8-3) will likely bounce back on the road at Alpena on Saturday before two games against Wayne and Oakland. If tonight’s effort is any indication, the Bears are fully capable of losing both. • For the first time since I’ve covered this program, it’s officially (at least in my mind), the dreaded “rebuilding year” for the Bears. Amazingly, I’ve given up the ghost on Mott’s championship aspirations before New Year’s Day. This team just doesn’t have it. They have a precious little in common with Mott’s championship teams of the past. The Bears have nine players left on the roster and only one guy who plays hard all the time (if you go to the games you know who he is). • Among a litany of problems for this team, one stands out: Mott doesn’t have a single guard who can defend, who cares to defend, or both. Mott’s championship teams have always had at least one guard (sometimes more) who took pride in wearing the “stopper” moniker. In the past, it would have been unthinkable for a 5-7 guard to shred the Bears in any game — least of all a meaningful one at home. This was a problem last season and it’s getting worse. • It’s not all on the guards, though. On the frontline, Mott has more matadors than bulls. The Express shot 67 percent from the field in the first half. That’s great for them, but truly an embarrassing stat for Mott. It wasn’t just one of those hot-shooting nights for Owens, either. Mott was gifting them high-percentage shots in close, not closing out on shooters and fouling in the paint like they were playing flag football. • With little doubt, this is going to be the most arduous season for Mott head coach Steve Schmidt. He has seen so many highs in his career and very few lows. This season, barring a circling of the wagons that would impress the Buffalo Bills, is going to be one of those low points. He’s the man for the job, but it might be asking too much even for a hall of famer. • On a positive note, Bigham was a beast for long stretches of this game on the offensive end. He scored the team’s first eight points in the second half. He’s long-armed, athletic and not afraid of contact around the basket. He had a nasty tip-dunk in the first half. He’s not consistent, though, so I guess I don’t get to end on a positive note after all. Last month I wrote that, if Mott made it through its brutal December schedule with a record of 4-2, it would be a job well done. After Wednesday’s night 62-55 road win over Kalamazoo Valley, the Bears are just a home victory over Owens away from meeting the mark. The Bears (8-2) led KVCC (5-8) by two at the half and held on for the win. Don’t let KVCC’s record fool you. This team’s schedule was front-loaded with high-end competition against big programs. KVCC has scored wins over Wayne County and St. Clair this season. This team has talent and always presents a challenge at their place. The Bears were led by freshman Justice Green, who scored 23 points with a season-high eight steals. Mott played the game without the services of Darryl Bigham, Amariontez Ivory-Thomas and Joseph Stamps. Head coach Steve Schmidt is still trying to separate the men from the boys on this squad, so fans will probably continue to see movement with the roster from game to game. Mott will look for revenge on Dec. 30 at home versus Owens. The Bears lost to the Express on the road earlier this month in double overtime. FLINT, Michigan — Rod Milton picked a great time to turn in his best performance of the season. The Mott Community College Bears (7-2), still smarting over a tough loss on the road Wednesday night to archrival Lansing, leaned heavily on Milton and pulled out a victory over Lakeland, 82-75. 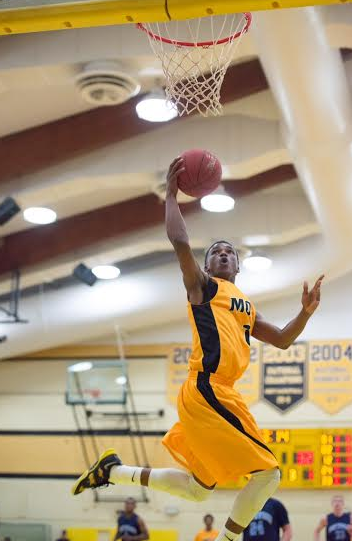 Milton, a high-flying freshman forward, led Mott with 23 points and 10 rebounds. He was instrumental in leading the Bears to a 17-point lead early in the second half. As it turned out, the Bears needed the extra cushion against the resilient Lakers. Midway through the second half, Lakeland (5-3) embarked on a 14-2 to bring the game back into striking distance. The Bears’ lead was cut to just five before Milton and freshman Tommie Johnson sparked an 8-2 run to put Mott back up double digits. The Bears played most of the game without 6-7 sophomore Darryl LeVert, who drew his third foul just 10 minutes into the first half and his fourth with just seven minutes gone by in the second. He finished with just two points. Mott’s point guard Justice Green hit some crucial free throws down the stretch to keep the Lakers at bay. Green finished with 11 points, three rebounds, six assists and six steals. Three other Bears added 11 points apiece: Johnson, Malik Young and Daryl Bigham. Mott actually shot its way out of Lakeland’s zone early in the game, and didn’t have many issues breaking their press throughtut the game. The Bears weren’t in lockdown mode defensively, but they made enough plays on that end of the floor to hold on. The last time the Bears played Lakeland was in the semifinals of the national tournament back in 2012. The Bears won that game by nine and went on to finish the season with a 35-1 record and a national championship. Mott head coach Steve Schmidt only dressed eight players in the game, for the second time this season. Mott was without freshmen Tez Thomas, Joe Stamps and Ray Ray Lewis. The playing status of those players will be updated in the coming days. Coach Schmidt penned an open letter to fans in Saturday’s game program, thanking them for their support through what has been a very difficult season. Schmidt freely admits that this season, even at this early juncture, has been among the most trying of his long career. Mott still has two games left in its brutal December schedule. The Bears will play a strong Kalamazoo Valley squad on the road Wednesday night before finishing out the calendar year on December 30 versus Owens. Mott Community College’s Hall of Fame head coach Steve Schmidt will start the 2014-15 season with no returning players for the first time in his 24-year career. 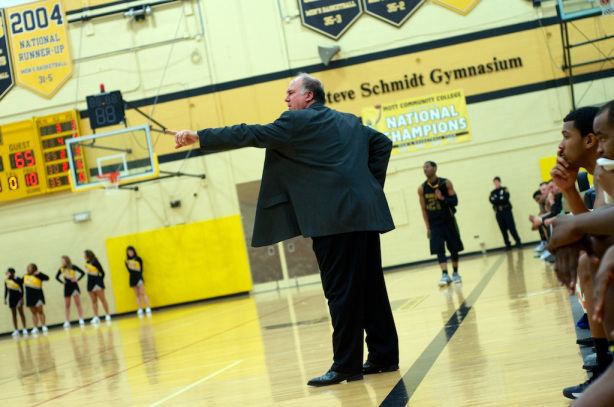 FLINT, Michigan — Firsts are hard to come by for Steve Schmidt, entering his 24th season as the head coach at Mott Community College in Flint. Just when he thought he’d survived every hardship, enjoyed every success and coached his way through every possible situation on and off the court, this: Schmidt will start the season next week without a single returning player. His team is unknown, undisciplined and unranked. It’s dysfunction junction at Ballenger Fieldhouse heading into the 2014-15 campaign; that’s the bad news. Schmidt has already held four players out of practice in the preseason for rules violations. Schmidt says he’s exercising patience and embracing the dysfunction, staying positive about what will be his biggest challenge in many years. Following a decent showing in a scrimmage versus Adrian College last week, Schmidt said he was encouraged by the words of Adrian’s coach, Mark White. So even when situations change and problems arise, what’s best for players is what’s best for the program. And Schmidt says that’s not going to change. Fast forward eight months and the situation Schmidt finds himself in starting this season is one of his own making. He could have brought back as many as four players from last year’s team, but the standards of the program don’t change like roster spots and rankings. Schmidt’s roster, while young, is brimming with talent. The team will be led from the frontcourt by 6-8 forward Darryl LeVert (Pickerington, OH) and 6-6 Daryl Bigham (Detroit Southeastern). Levert, brother of University of Michigan standout Caris LeVert, is a finesse forward who transferred from Connors State in Oklahoma. He has really come into his own over the last year, and Schmidt is expecting big things. 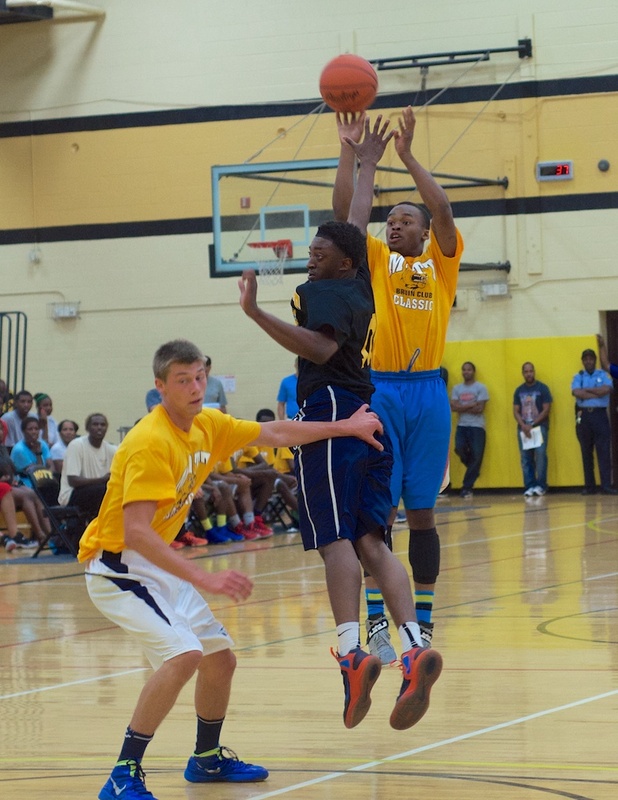 Bigham was one of the top players in the Detroit PSL as a senior, getting lots of attention from division one schools. He will set the bar for toughness on this team, filling an enforcer role Mott hasn’t had since the departure of Fred Mattison two years ago. If starting lineups were constituted based solely on talent, joining LeVert and Bigham would be guards Justice Green (Flint Carman-Ainsworth), Joseph Stamps (Chicago Curie) and Amariontez Ivory-Thomas (Flint Beecher). Stamps is arguably the most talented of the bunch, but Schmidt admits the former standout guard from Chicago Curie has had a tough time making the transition to college. Stamps played alongside All-American and current University of Kansas freshman Cliff Alexander. He has played in many big games in his career and aspects of his game will certainly garner comparisons to former Mott All-American John Taylor. It remains to be seen whether Stamps can play at that level. Green is Mott’s best option at point guard. At a slinky 6-foot-1, Green cuts on a dime and is one of the quickest ballhandlers you’ll ever see. He has a slight build, but can play above the rim in transition. Thomas will be Mott’s best perimeter shooter but, like Stamps, he will have to earn his minutes by taking defense a little more seriously. Another intriguing prospect on this year’s roster is Rod Milton, a strong and athletic 6-3 guard from Worcester, MA. Milton had an excellent senior season at South High School but has not played organized ball in a year. Finally, Schmidt had high praise of the play of his small, but deadly quick hometown guard Malik Young (Flint Southwestern). Young looked tremendous in the team’s most recent scrimmage. 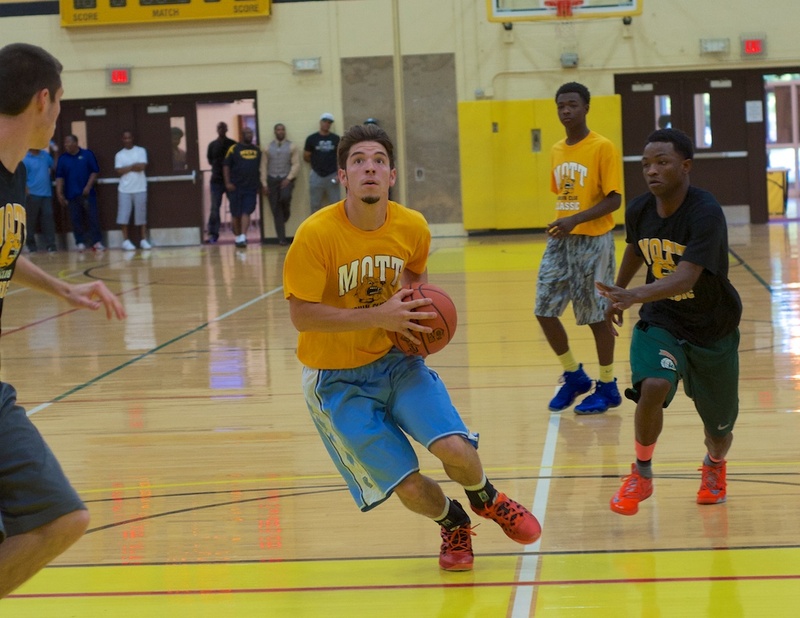 Mott will open the 2014-15 season at 7:30 p.m. Tuesday night at home against Rochester College (JV). 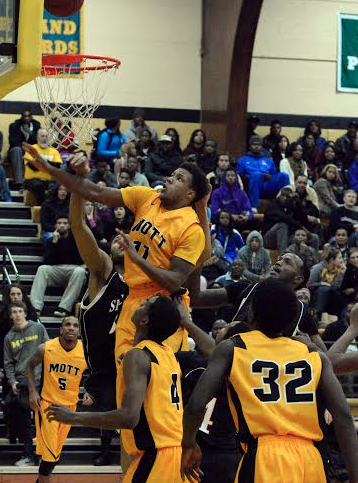 Future Mott Bear Tez Thomas scores three of his game-high 26 points. Flushing’s Alec Myers drives to the basket for two in the first half Thursday night. The Flint area’s top seniors took to the court Thursday night for the 22nd annual Bruin Club Classic All-Star game at Ballenger Fieldhouse. Unlike in recent years, the game was exciting and highly-competitive. The crowd was among the largest in the game’s history. Four future Mott players participated, the most since I’ve been covering the game. Former Flint Beecher standout Tez Thomas gave Mott fans an eyeful, showing off his inside-outside game. He led all scorers with 26 points en route to game MVP honors for the Gold Team. Malik Young (Southwestern) and Cam Morse (Carman-Ainsworth) scored 20 apiece for the Black Team. Marquavian Stephens (Swartz Creek) and Ray Ray Lewis (Southwestern) added 17 and 16 points, respectively, for the Black Team. The most intriguing prospect in the game was future Mott point guard Justice Green. The former Powers and Carman-Ainsworth standout is one of the most fluid and athletic point guards I’ve seen at the high school level. He’s a better prospect than Morse, though with a much slighter build. The winning coach in the game was former Mott All-American Kevin Tiggs. The 6-4 small forward is now playing professionally in Australia. The play of the game was an alley-oop from Swartz Creek’s Torandis Mack to Green late in the second half. Mott Community College’s hall of fame head coach is currently coaching members of Team USA (18-and-under) in Colorado Springs. Schmidt is one of three court coaches for the 2014 training camp. On Wednesday, Schmidt coached Luke Kennard (Duke University), Stanley Johnson (Arizona) and Myles Turner (Texas). His team is 2-0 thus far. 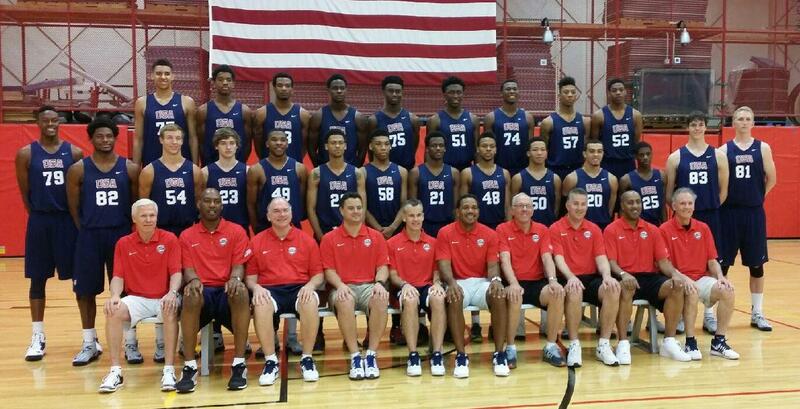 Team USA will play in the 2014 FIBA Americas 18-and-under Championship. Schmidt is coaching alongside some big names on the college basketball scene including Billy Donovan (Florida), Jim Boeheim (Syracuse), Sean Miller (Arizona), Matt Painter (Purdue), Lorenzo Romar (Washington), Bob McKillop (Davidson), Ed Cooley (Providence) and Danny Manning (Wake Forest).